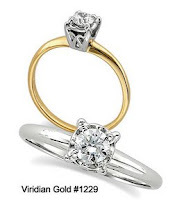 With the price of gold at all-time highs, couples looking for traditional, white gold wedding bands are finding that sterling silver wedding rings are an economical, yet high-quality alternative. Our silver bands are made in the same USA factory as our gold and platinum bands, using the same molds. This means that the quality is unsurpassed--these are not cheap, flea-market rings that are imported from India or China, but are fully .925 silver, highly polished and free of pits and voids. 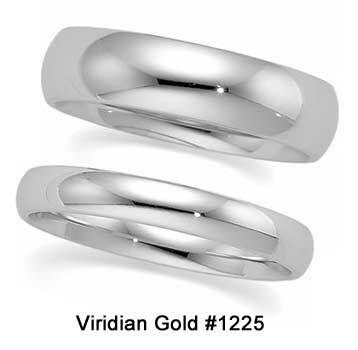 To be termed "sterling silver", the silver content must be at least 92.5%, so these rings are marked "STER" on the inside surface to so indicate their fineness. 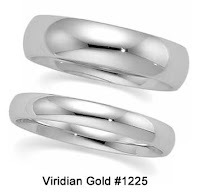 Over the years, these sterling silver rings will acquire a unique and pleasing patina which is the classic hallmark of quality silver jewelry. 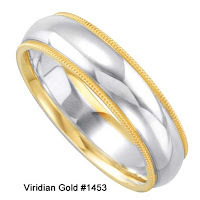 If you wish to have some gold in your silver wedding rings, consider either our gold & silver milgrain style wedding bands, or our gold & silver brushed style rings. 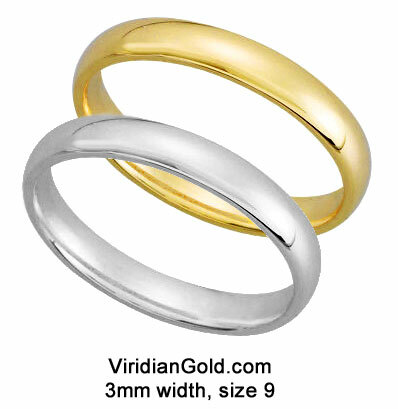 Both are 6mm wide, and are available in stock half-sizes from 4 up to 15. 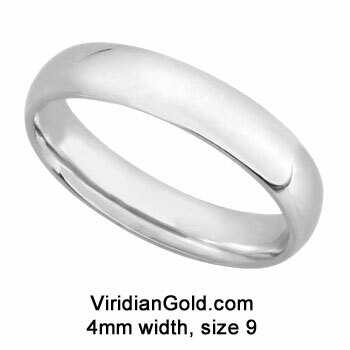 Of course, our silver rings can also be engraved on the inside surface, just like a solid gold ring. Each is individually inspected, and packaged in our Viridian Gold velvet ring box.